Heat oven to 350°F. Bake brownies as directed on box in 13x9-inch pan. Cool completely, about 30 minutes. Meanwhile, remove ice cream from freezer; place in refrigerator to soften, about 1 hour. 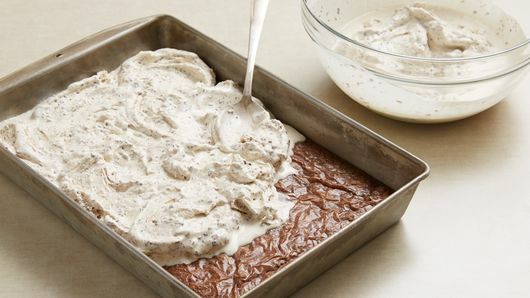 Spread softened ice cream evenly over cooled brownies. 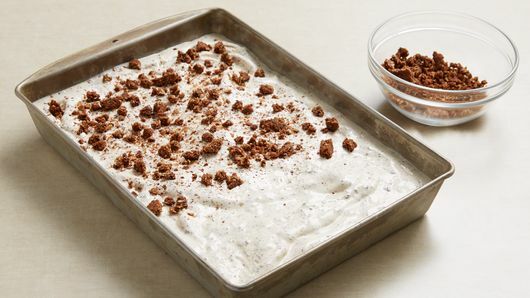 Sprinkle evenly with chopped granola bars; press lightly into ice cream. Freeze 1 1/2 hours or until firm. For bars, cut into 5 rows by 3 rows. 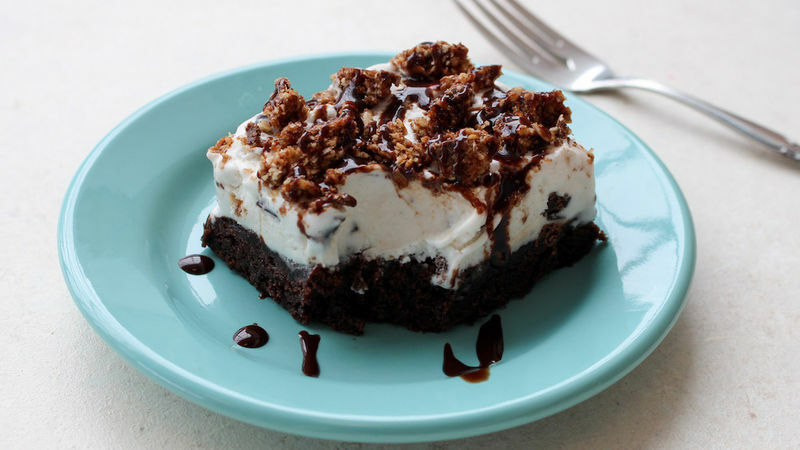 Drizzle each serving with chocolate syrup. Store in freezer. You can top the ice cream bars with hot fudge or strawberry ice cream topping. Top with whipped topping and sprinkles to make it just like a sundae! Use any kind of ice cream you like--try mint chocolate chip, cookies ‘n cream or vanilla. Use full-fat ice cream for best results. You can soften the ice cream quickly by spooning it into a large bowl. Allow it to stand at room temperature until soft but not melted.